This lovely coconut cream pie with a chocolate crust is a one of a kind treat that will bring joy in your day and your loved ones’. 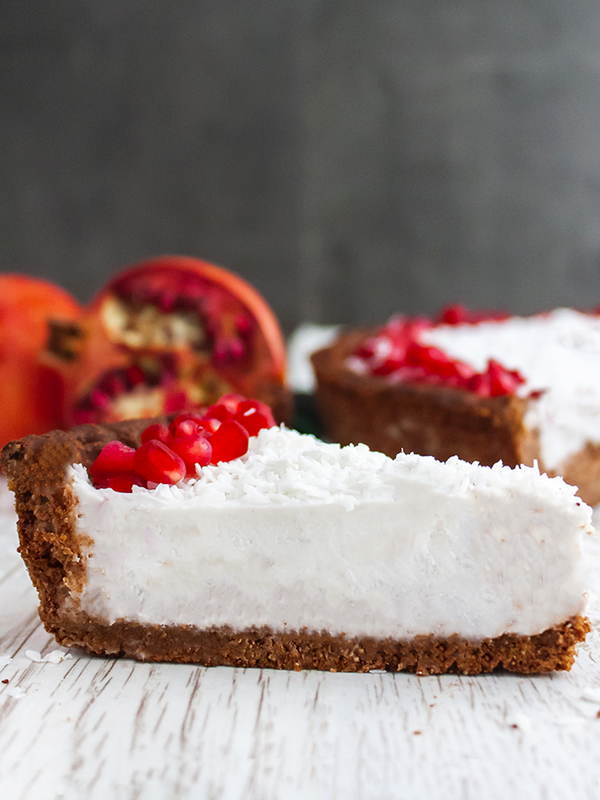 We have made this recipe dairy free by using coconut milk for the cream and by avoiding using butter in the crust . 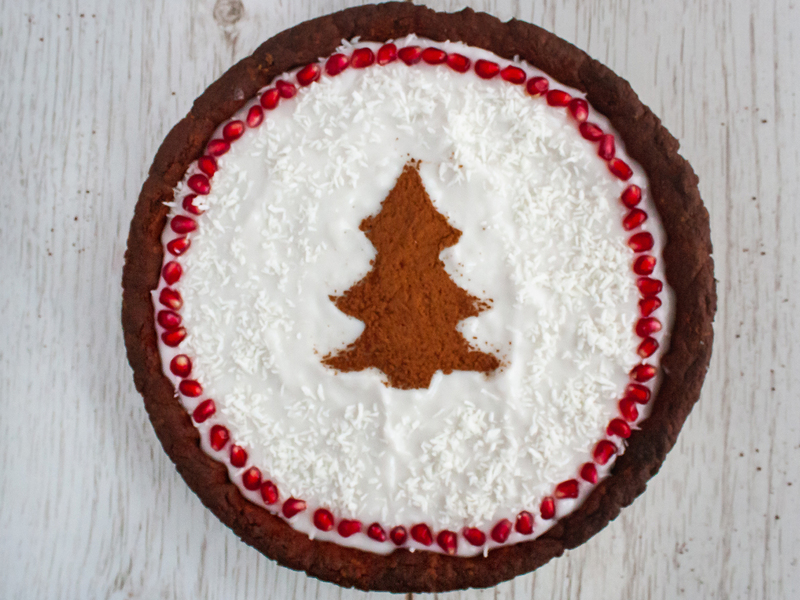 This tart is great for any day of the year but we have given it a cute festive feel to celebrate the Christmas season, decorating it with cocoa powder and pomegranate seeds . Feel free to decorate it however you see fit though! Check out this recipe where we show you how to make the perfect coconut cream step by step. As we explain in step 2 of the coconut cream recipe, the cream can have a jelly-like or fluid consistency. 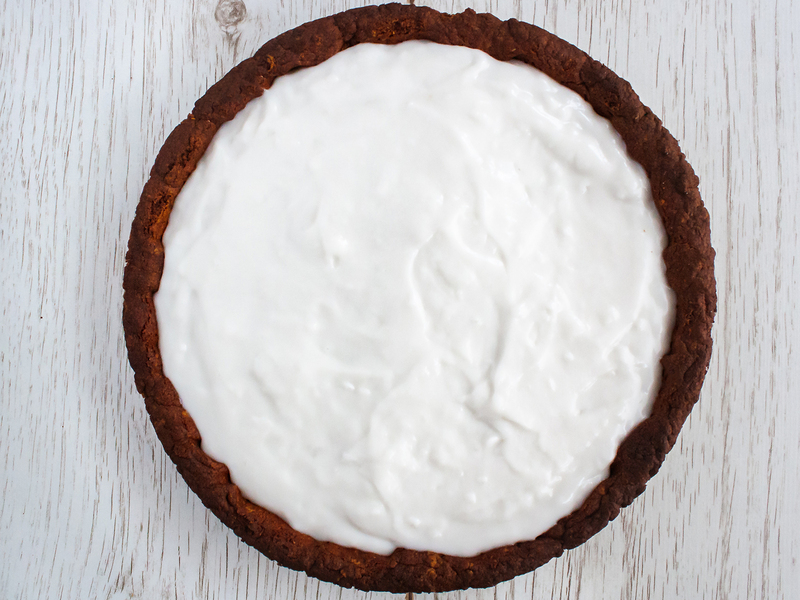 For this coconut cream tart, it’s better to use a fluid cream, so make sure you check out step 2 in the link above ❤️. Don’t worry, we will remind you about this in the steps below. Before you start, make sure the eggs and the coconut oil are both at room temperature. 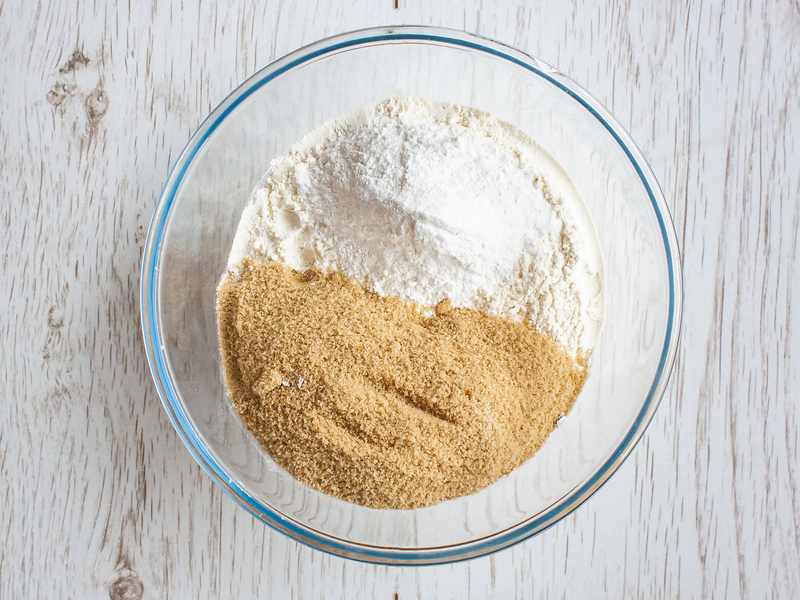 In a large mixing bowl, sift the flour, brown sugar and baking powder. 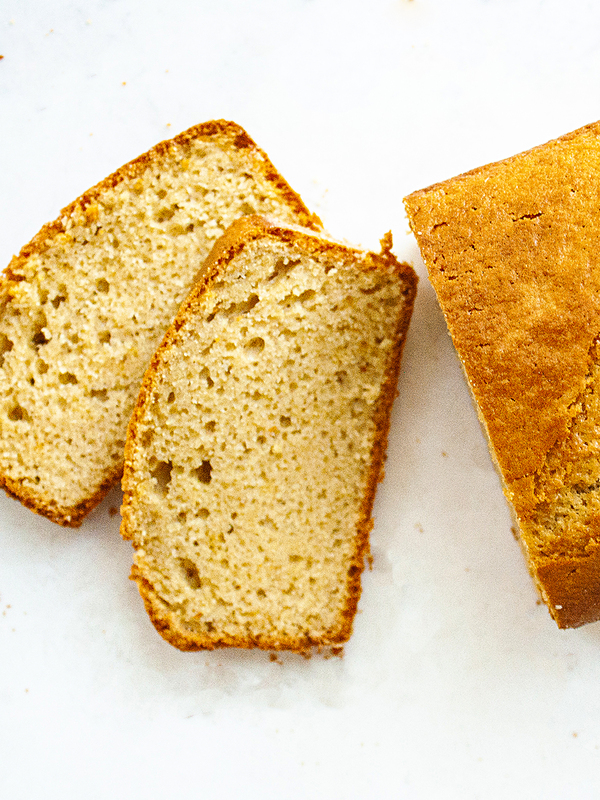 Mix well with a spoon to combine the dry ingredients so that the baking powder is evenly distributed. 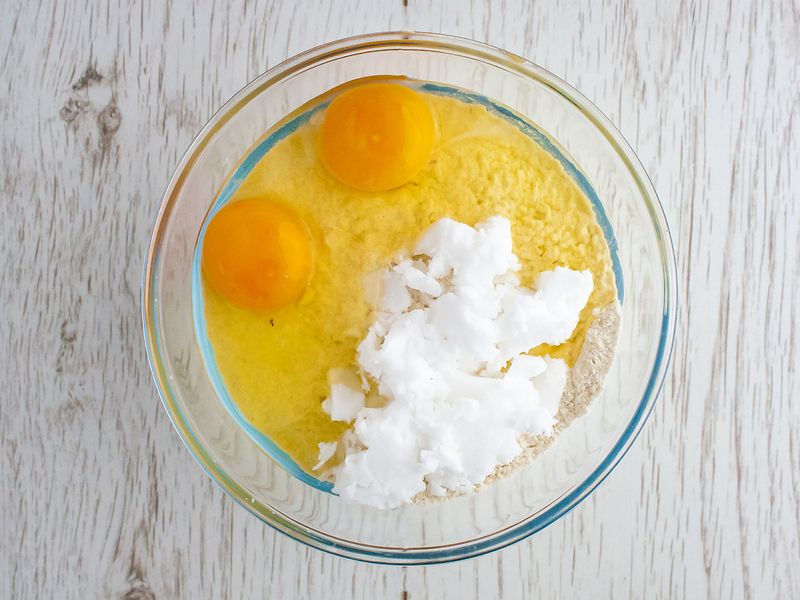 Crack the eggs in the flour bowl and add the softened coconut oil (1). Knead the dough using your hands just until the ingredients are incorporated to avoid a hard crust. Then, roll into a ball (2). 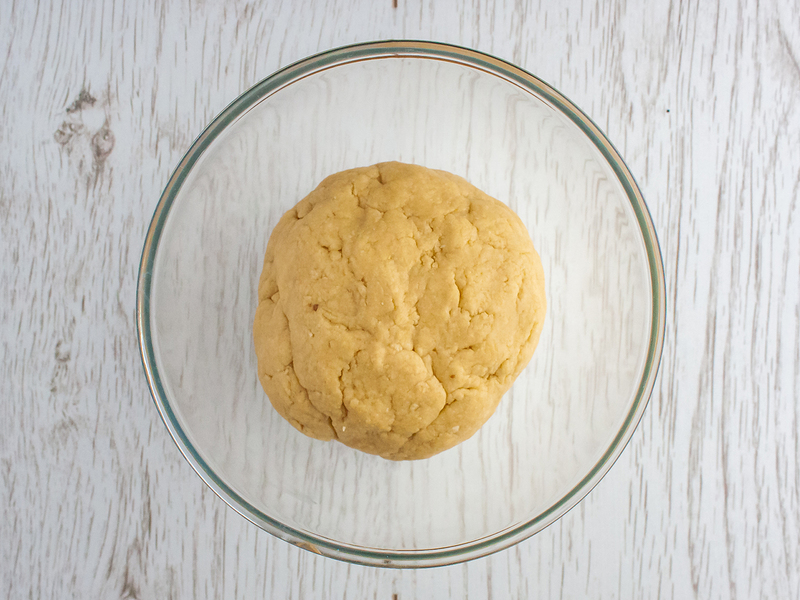 If you want to know more about how to prepare the dough, check out this post. 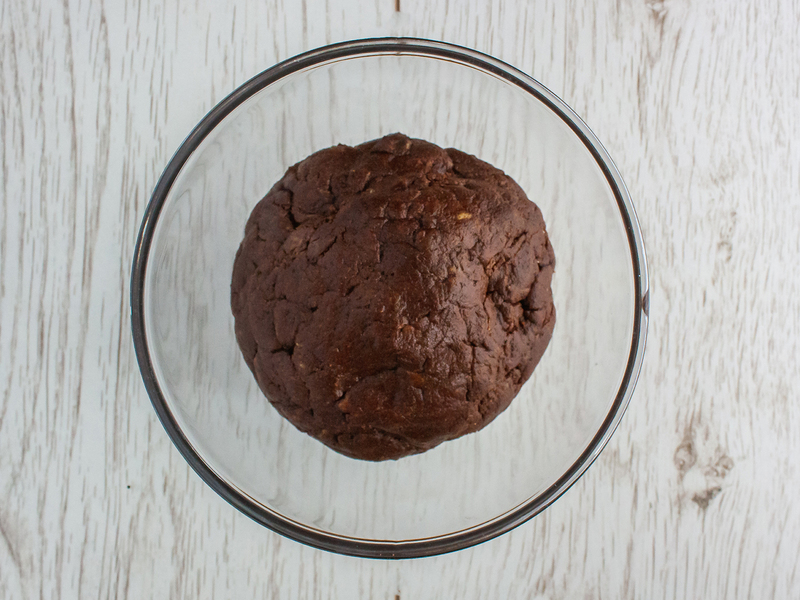 To melt the dark chocolate chop it into small chunks and place them in a pot in the microwave or in a pan of boiling water. Don&apos;t stir the chocolate until it&apos;s completely melted otherwise it will curdle. 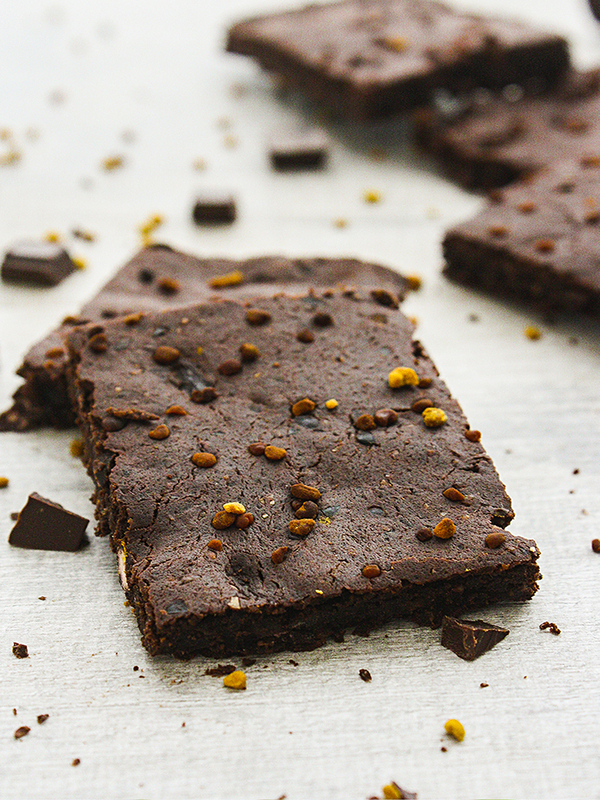 Cool down the chocolate for a few minutes and add it to the dough along with the vanilla extract (1). Quickly incorporate the ingredients into the dough and roll it into a ball (2). Grease and flour a 25 cm round pie dish. 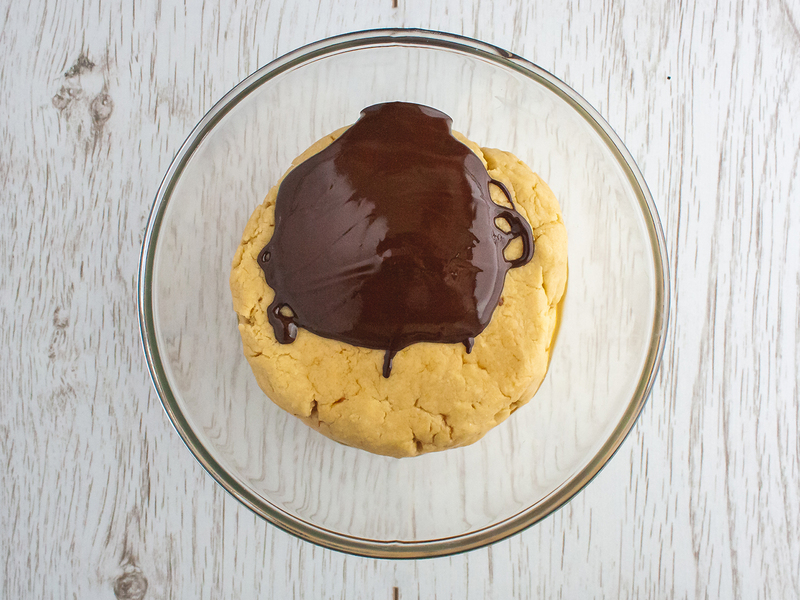 Roll out the chocolate dough over a floured workspace with a rolling pin to a 5 mm thickness. Make sure you roll out the dough into a slightly larger circle than the size of pie dish to have enough dough to cover the edges. Transfer the dough into the pie dish and press the bottom and the sides. Trim away excess dough with a knife. Cover with cling film and let it cool in the fridge for 30 minutes to ensure it will keep its shape when cooking. 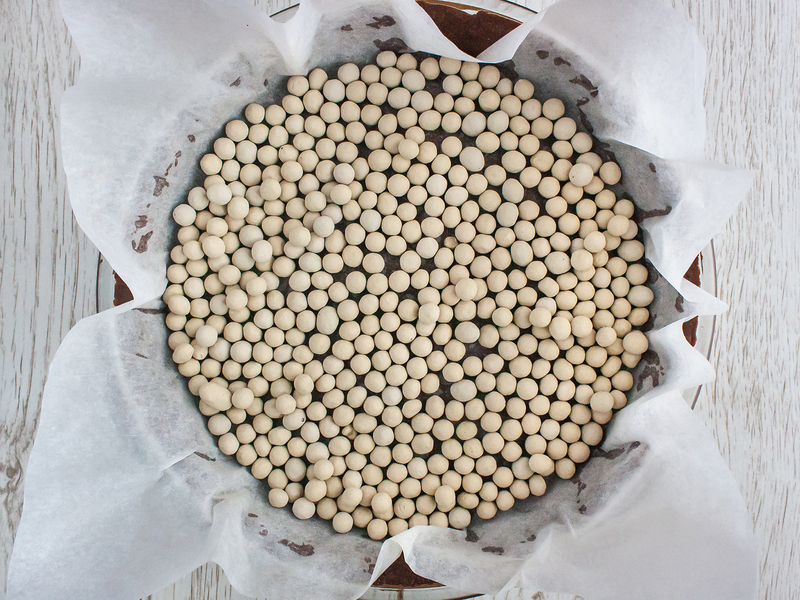 Next, cover the tart base with parchment paper and fill it with ceramic baking beads distributing them over the entire surface and in particular around the edges (1). Place in the oven and cook for 25 minutes (2). 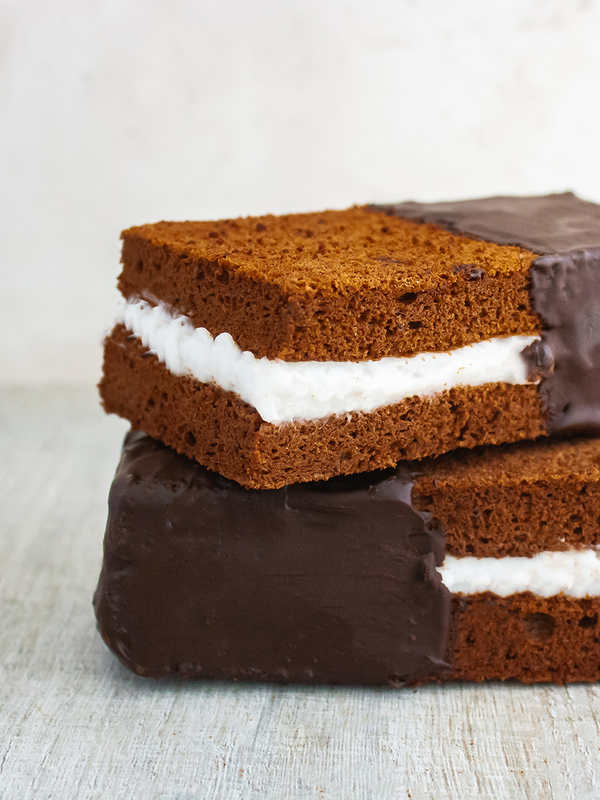 Remove the chocolate pie base from the oven and transfer to a wire rack to cool down. To prepare the coconut cream use our easy step-by-step recipe. 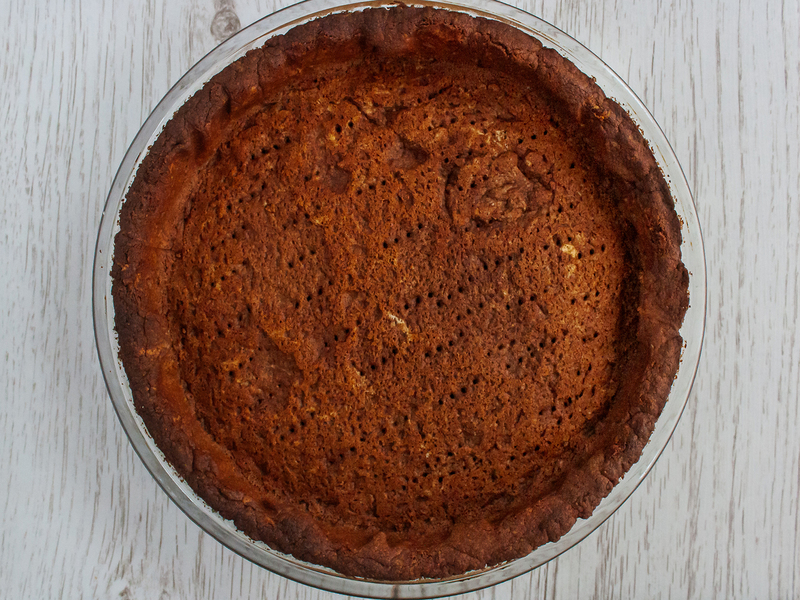 Spoon the cream over the tart base and level with a spatula (1). Sprinkle the top with desiccated coconut and decorate with pomegranate seeds (2). For a nice Christmas finish, use cocoa powder to dust a tree shape over the coconut cream using a stencil or cookie cutter.